In a climate of unprecedented uncertainty, shrinking government budgets and increased competition, it’s more important than ever to protect your contract base, win new programs and unseat more incumbents. 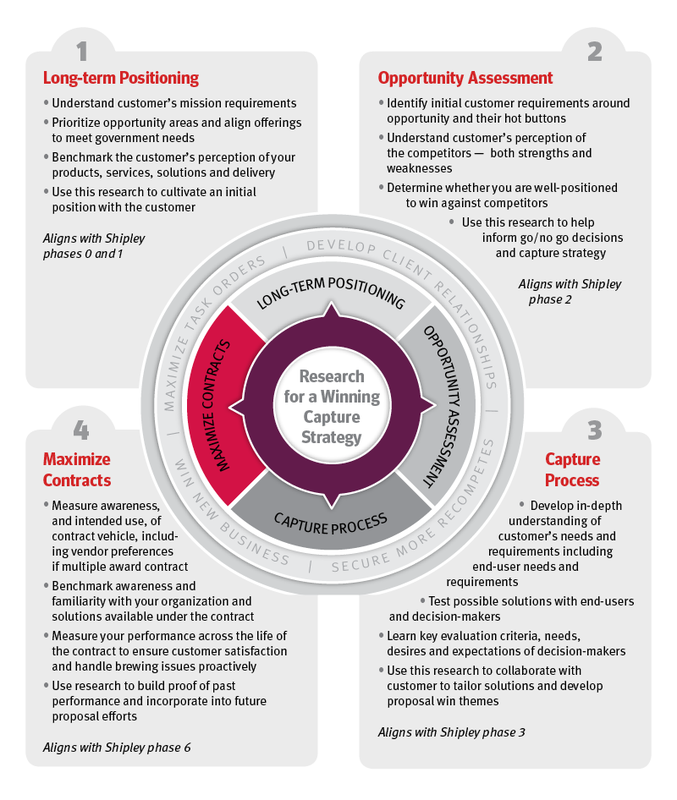 New pursuit and capture research will help you anticipate and understand the needs and goals of your target market and provide fact-based insights to inform more effective capture strategies. Click here to download the Best Practices of Winning Government Contractors white paper.